Emily, Stefan and I live in a lovely little two bedroom flat. We take it turns to organise each others' birthday party. It's always a surprise, with the birthday boy/girl only knowing that they're having a party, and none of the details. It was Emily's birthday a couple of weeks ago. 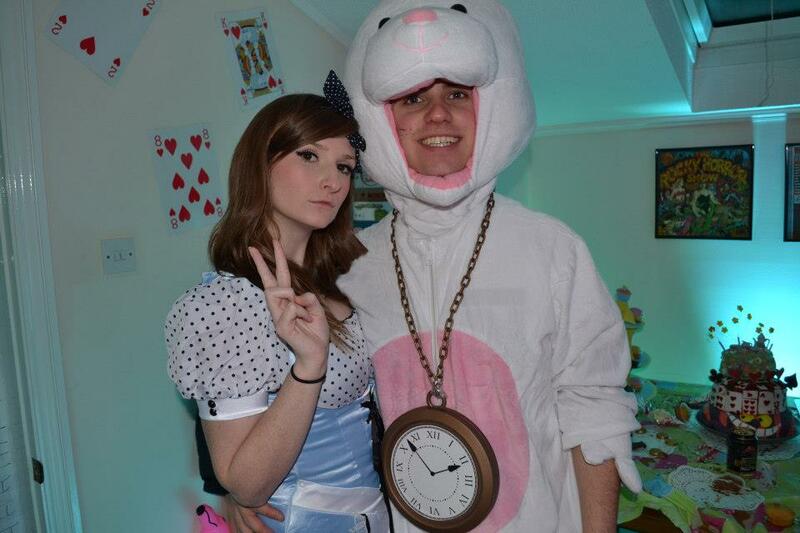 Stefan and I organised an Alice in Wonderland themed party. 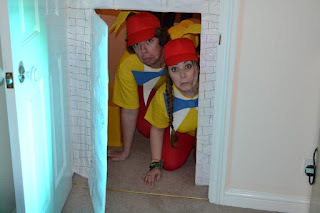 We decorated the house by covering the living room door frame and created a tiny door for people to crawl through. We had inflatable flamingoes and giant playing cards, along with lots of sequins, cake stands and cakes to create a mad hatters tea party. 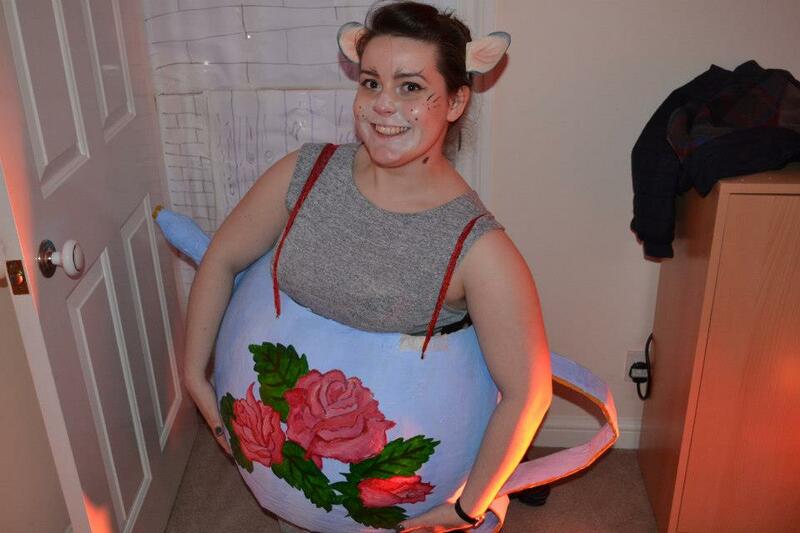 My sister Sarah made the incredible cake - see photo below. We also played carpet croquet and higher and lower with the giant cards. In the afternoon we went to Well Walk tea room in Cheltenham, which is a really lovely vintage tea room with lots of quirky things on display. I had booked and told them that we would all be coming in Alice in Wonderland fancy dress, which they seemed really excited about! When we arrived, they had made us little 'eat me' cup cakes which was really lovely of them and they even turned a snow machine on, on the roof, so it snowed on Emily's birthday, which we thought was really cool! It's been a while since I did a post; Christmas was busy with work and play and I can't believe we are already nearly a whole month into 2013! 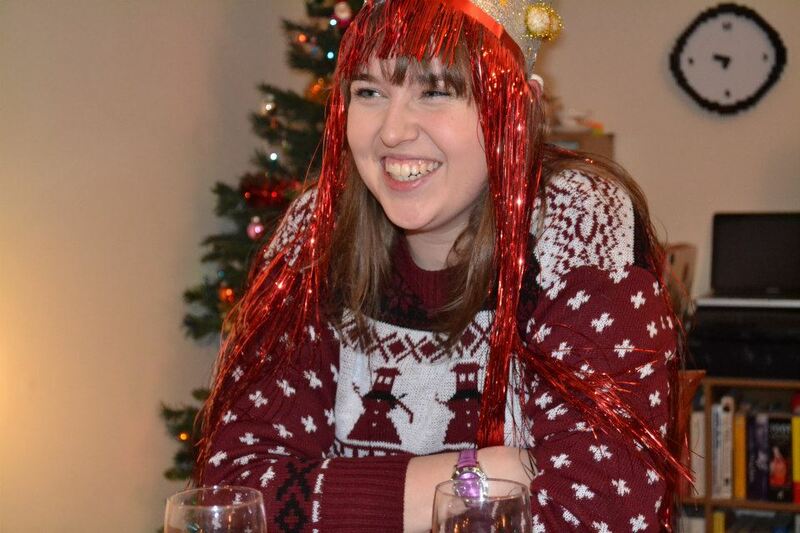 For our company Christmas party [a fairly small affair with six of us], we had a lovely meal and a Christmas hat and jumper competition! 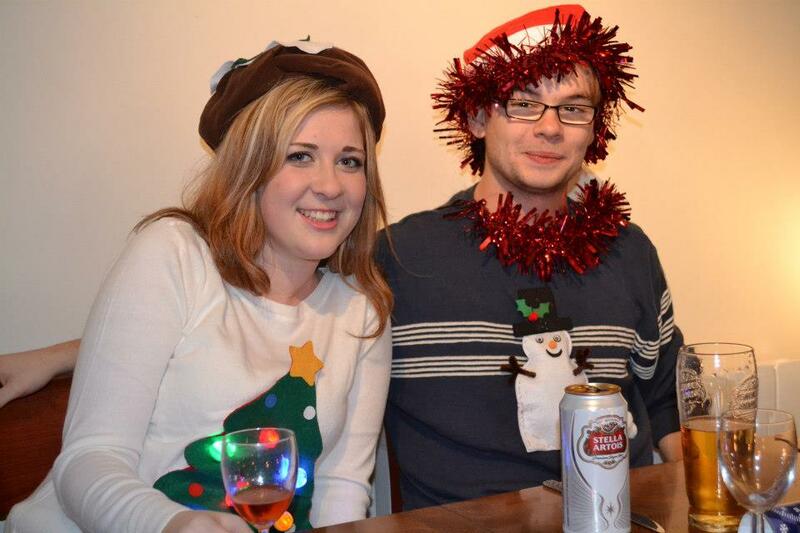 It was just a bit of fun and we all made a real effort to wear silly customised Christmas jumpers and even sillier hats! 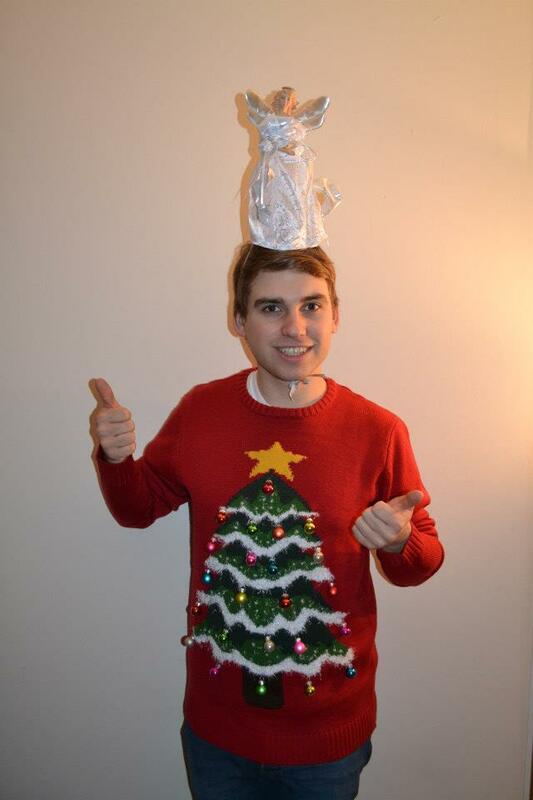 After going in several times to find the right one in my size, I got this red Christmas tree jumper from Primark. I attached little baubles I bought from Urban Outfitters with safety pins. 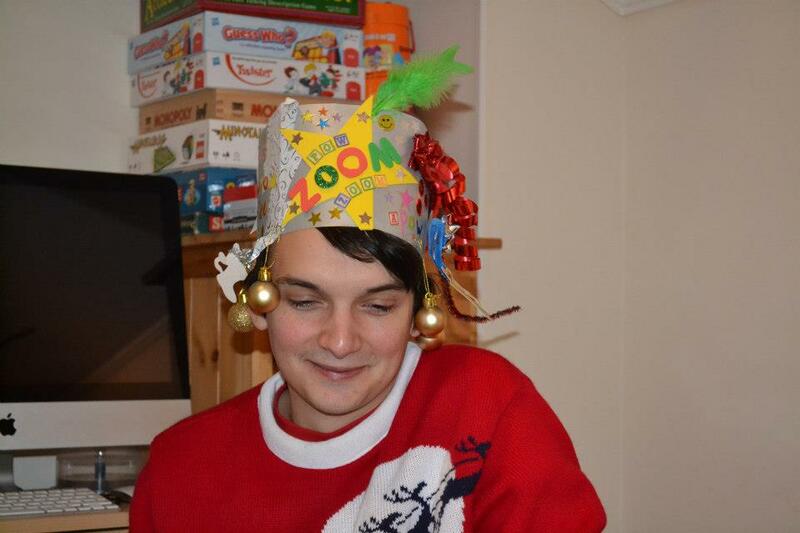 I then attached a Christmas fairy from Poundland to my head to complete the look. 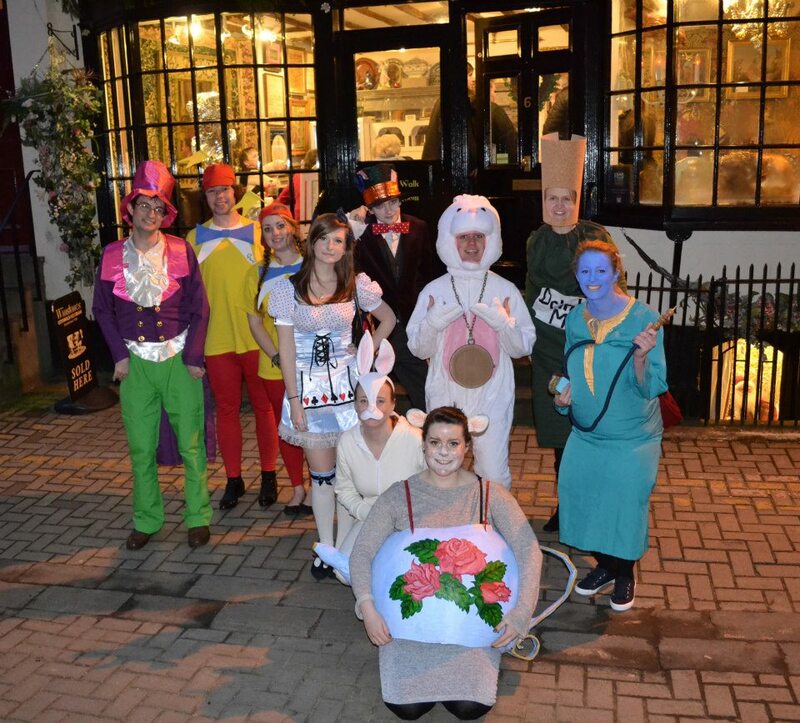 It was lots of fun and I definitely got some funny looks when walking through town and in bars! Below there are other photos of our creations, including Heather's homemade illuminated Christmas tree jumper, complete with Christmas pudding hat. 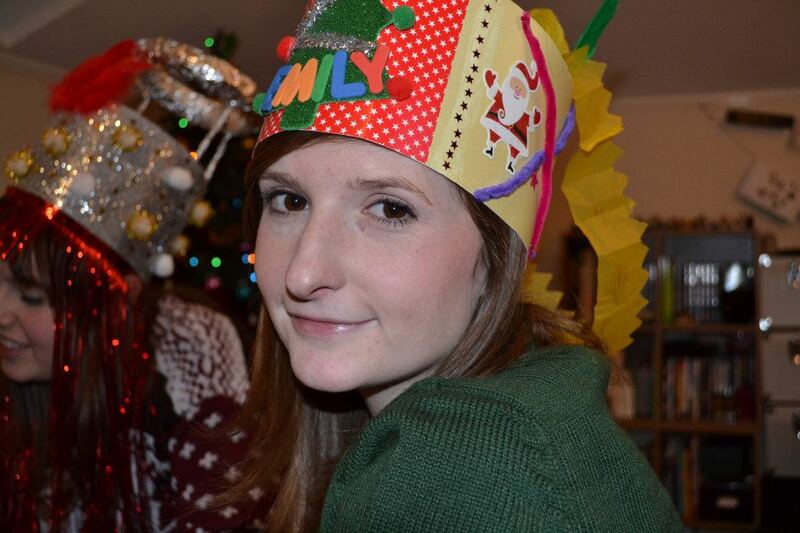 Stefan and Emily's homemade hats were pretty cool too!